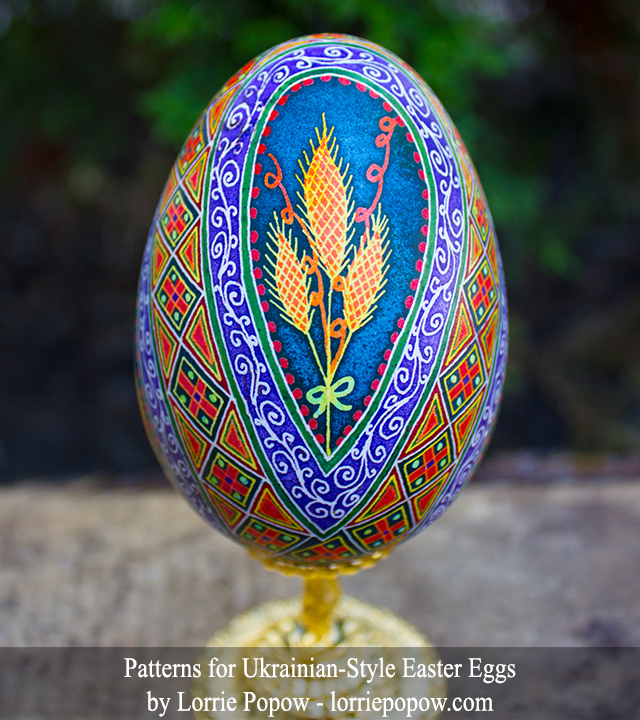 This is Egg #1 from my new book, Patterns for Ukrainian-Style Easter Eggs. 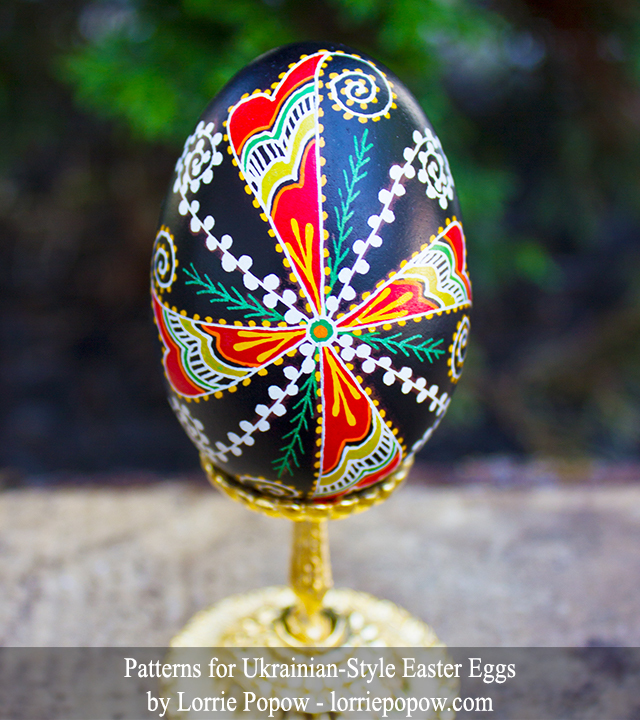 It is called, "Pinwheel Pysanka." It is a chicken egg, and I used these dye colors: yellow, orange, red, Light green, dark green, and black. 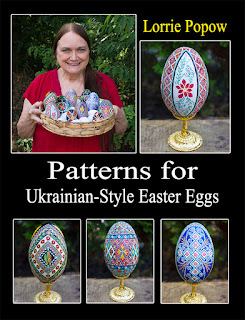 This is Egg #2 from my new book, Patterns for Ukrainian-Style Easter Eggs. It is called, "Love and Hugs." 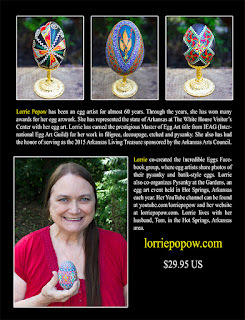 It is a chicken egg, and I used these dye colors: yellow, orange, red, green and black. 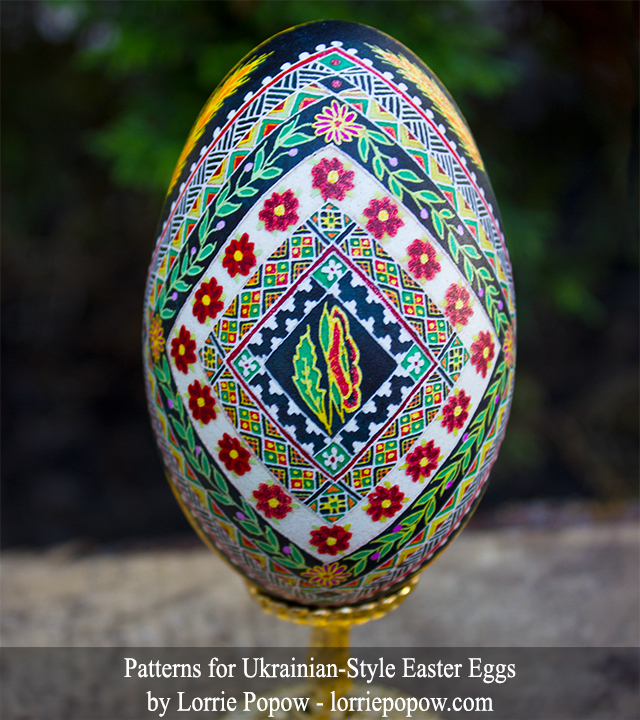 This is Egg #3 from my new book, Patterns for Ukrainian-Style Easter Eggs. It is called, "Shower of Flowers. 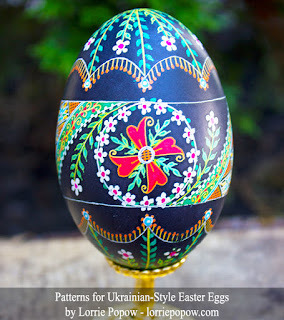 It is a goose egg, and I used these dye colors: yellow, orange, red, pink, light blue, light green, green, and black. 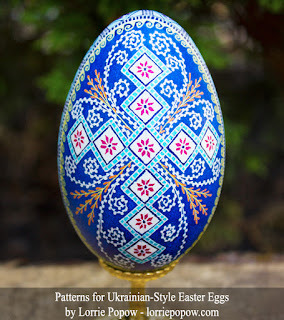 This is Egg #4 from my new book, Patterns for Ukrainian-Style Easter Eggs. It is called, "My Garden." 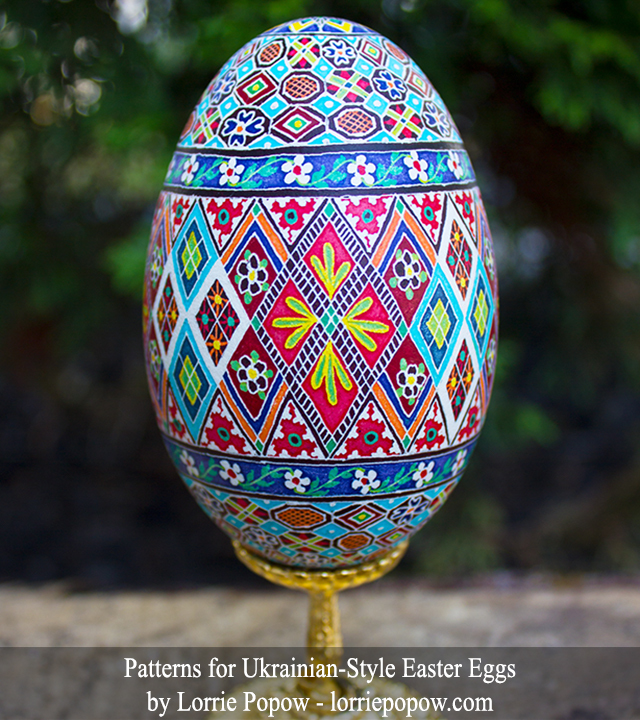 It is a goose egg, and I used these dye colors: yellow, orange, pink, medium blue, red, green, and black. 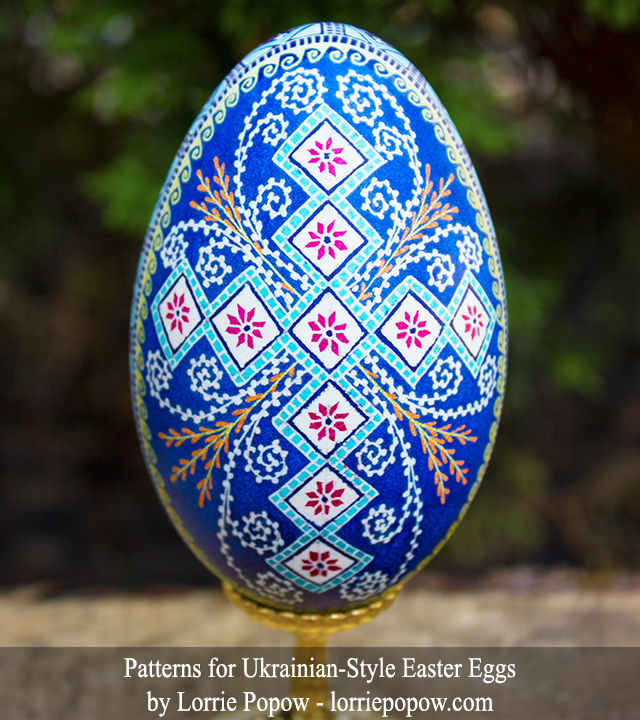 This is Egg #5 from my new book, Patterns for Ukrainian-Style Easter Eggs. 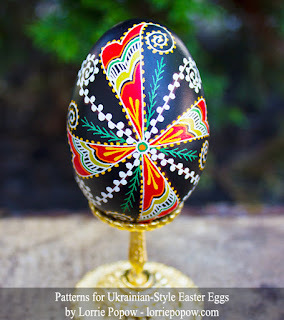 It is called, "Cross of Knowledge." 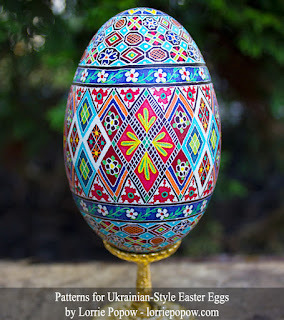 It is a goose egg, and I used these dye colors: yellow, orange, pink, light turquoise, turquoise, and dark blue. This is Egg #6 from my new book, Patterns for Ukrainian-Style Easter Eggs. 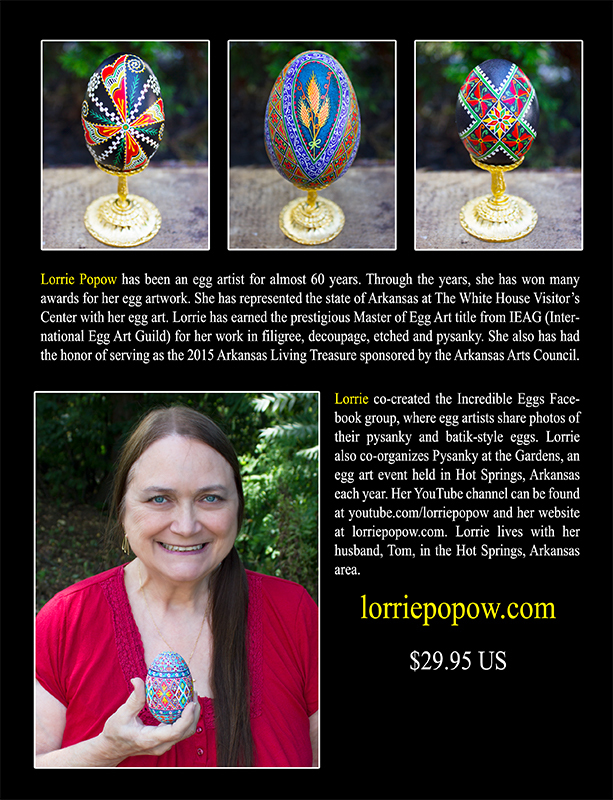 It is called, "Echoes of Autumn." It is a goose egg, and I used these dye colors: yellow, orange, red, dark red, purple, light green, dark green, and blue. This is Egg #7 from my new book, patterns for Ukrainian-Style Easter Eggs. It is called, "Diamond Parade." 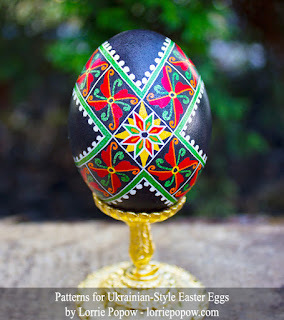 It is a goose egg, and I used these dye colors: yellow, orange, red, dark red, pink, light green, green,and black. 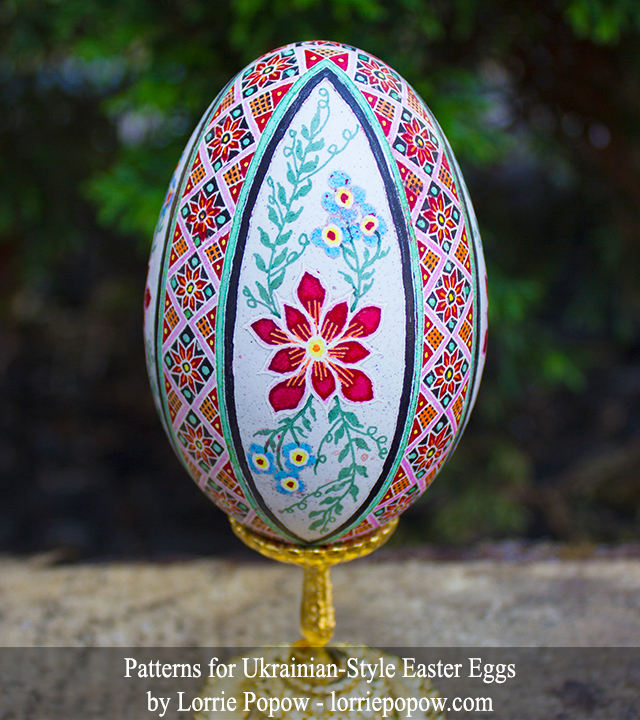 This is Egg #8 from my new book, Patterns for Ukrainian-Style Easter Eggs. 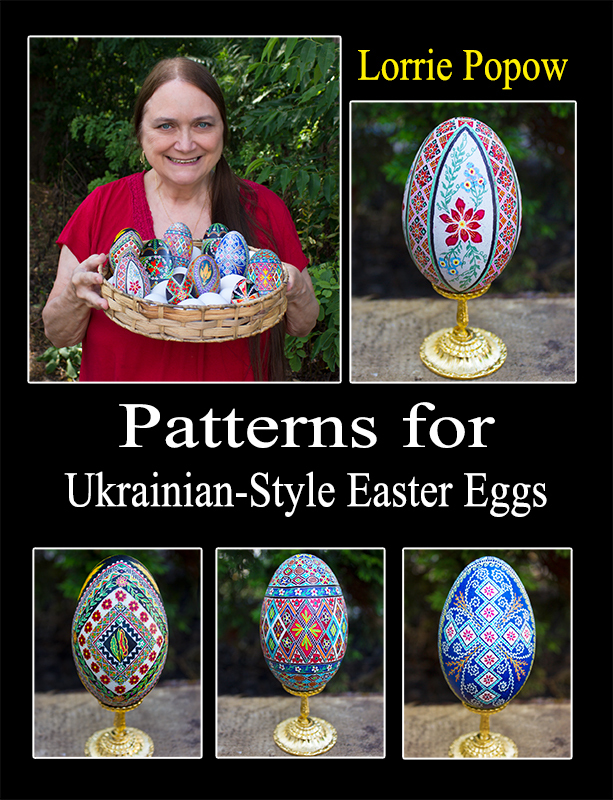 It is called, "Design Palette." It is a goose egg, and I used these dye colors: yellow, light green green, light blue, dark blue, purple, orange, red, dark red, and black.